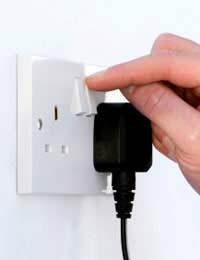 Modern society is now so reliant on the supply of electric to our homes for the most ordinary things that to have it cut off would cause immense problems. Of course, most electricity suppliers will keep providing you with energy as long as you are paying, so it's in their best interests not to implement a cut-off, and there's plenty of information about the credit departments' procedures if you know where to look. Now that the supply of energy has been privatised it's difficult to give accurate information about processes and procedures that all the different electricity suppliers use. But as a minimum they are all required by law to follow the minimum requirements specified by the regulatory body and not block consumers' attempts to come to reasonable arrangements to repay debts. The basic process is that if you don’t pay a bill, the electricity supplier will give you 28 days between sending a bill and sending a notice to disconnect you. They must then wait at least seven days before coming in to perform the cut-off. That basically gives you only five weeks between receiving a bill and being cut off. In reality these dates are minimum figures and it's very rare that anyone would be cut off in that short a period of time. After all, the energy companies would rather have money coming in from a customer than a cut-off customer who then pays nothing. So there are usually quite a few steps in between. The first thing to do if you suspect you will be unable to pay the bill is to give full information to the electricity supplier's accounts department. They will probably agree a payment plan with you that will see you clearing the debt and paying towards your current usage too. All this assumes that you are on a normal meter which is read quarterly and relies on estimates in between. If you repeatedly have difficulty paying, the electricity supplier has the power to place you on a pre-payment meter. This will only give you electricity if you have paid either on a special card or with tokens. These are the modern equivalents of coin-operated meters but with no coins to remove they are less likely to be damaged and broken into. This is a good method for the energy company, as you have to pay them before you use the supplies, but not so good for you, as the charges are nearly always higher than with an ordinary meter. There is another option that the energy company might accept which is to go on a service called Fuel Direct, but this is only available to consumers who are on Income Support or Jobseeker's Allowance. This means that the money to cover the arrears and your current usage is taken out of your benefits before they are handed over to you. Ask your benefit department to look into this for you. If you go onto Fuel Direct they will also check the amounts being deducted against your statements from the electricity supplier, a useful piece of information. Bear in mind also that there is specific protection from being cut off for certain groups of people. These include pensioner, people with long-term ill health, the disabled and people with sever financial problems. Try calling the Home Heat Helpline on 0800 33 66 99 to see if you qualify for help. As with any utility there are some unwritten rules that it's good to get information on. One is to keep paying the electricity supplier, even if it's only a tiny amount, because later, should it go to court, you can demonstrate good faith in trying to pay. Another is to give the electricity supplier up-to-date information about your situation at all times, again this shows good faith. Hiding from the problem, blocking any attempts to communicate with you and refusing to give information to the accounts department will give the wrong impression if you do end up in the dock later on.